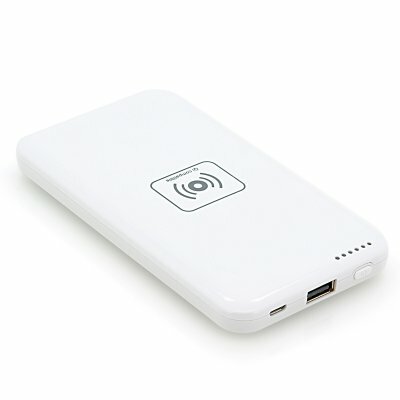 Successfully Added Portable Power Bank - 4800mAh Battery, Qi Wireless Charging to your Shopping Cart. 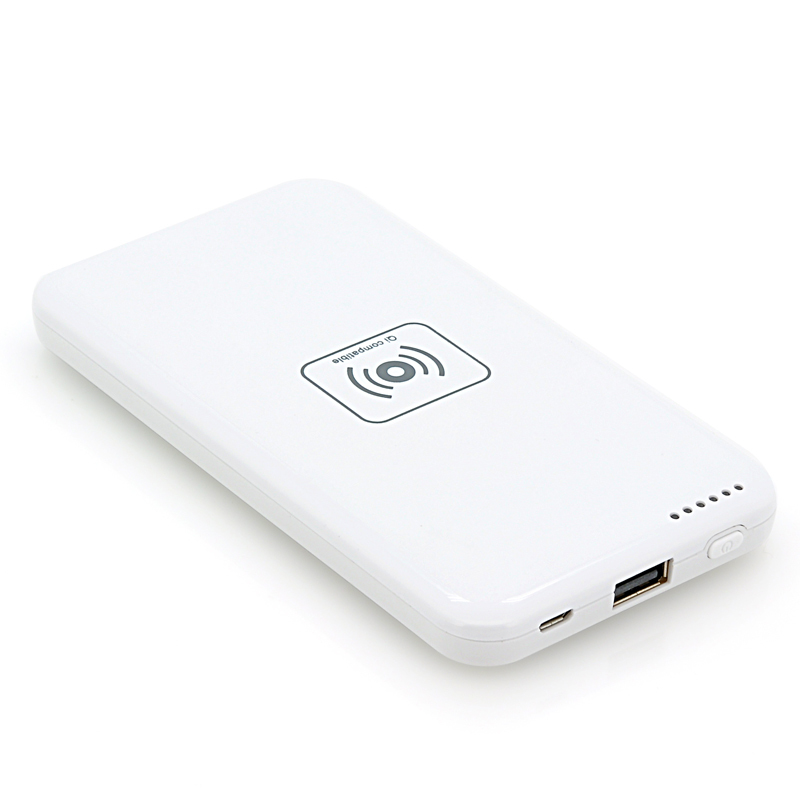 Portable Power Bank with a 4800mAh battery that can be used to wirelessly charge Qi compatible devices or use a standard USB cable to charge devices without Qi compatibility. This portable power bank is a simple yet extremely useful device as not only can it be used to charge your phone or media player via the USB port but the top surface is a wireless charging pad for Qi compatible devices. The Qi system comprises a power transmission pad and a compatible receiver in a portable device. To use the system, the mobile device is placed on top of the power transmission pad, which charges it via electromagnetic induction. Just place any Qi compliant electronic device on this charging pad to charge it wirelessly. Offering 4800mAh of backup power, you’ll be able to easily and quickly recharge your devices, even when you are miles away from the nearest power plug. Compatible with any Qi wireless charging standard, this portable wireless power bank is certainly an up-to-date piece of technology. Order one today and we will express ship it out to you tomorrow. Brought to you by the leader in wholesale electronics and cell phone accessories, Chinavasion.